According to Business Wire, the "initiative builds on and leverages existing partnerships between DISA and Qualcomm for the purpose of hardware-backed device-level hardware attestation (digital key etched for providing trust for sensor data), and Samsung to create the mobile Trusted Execution Environment (TEE) as an extension of their existing SoC capabilities with Knox." Gordon was asked by Bleeping Computer if the TWOSENSE.AI behavioral monitoring software requires additional hardware to run on a system? To which Gordon stated that, "Our product is software only and relies only on hardware and sensors that are ubiquitously available in every mobile phone, laptop, desktop, and workstation computer," according to the publication. According to Nextgov, the software is meant to "constant monitoring of the user’s behavior—including how they walk, carry the device, type and navigate on it and even how they commute to work and spend their free time—and the system will automatically and continuously verify the user’s identity, enabling them to seamlessly work on secure networks without having to plug in a card each time." It's worth noting that DISA has been working to develop a series of seven multifactor authentication tools since 2017. In a video DISA posted in December 2017, the seven factors revealed included GPS location, voice recognition, facial recognition, device orientation, trusted peripherals, trusted networks, and gait (walking). Further, Steve Wallace, technical director at DISA, previously told Nextgov last year that the software would profile "hand pressure and even wrist tension." Although, this reporter was able to trace back the first mention of eliminating Common Access Cards to a 2016 article by FCW entitled: "DOD to eliminate common access cards." “Frankly, CAC cards are not agile enough to do what we want,” he said. According to Halvorsen, the cards have too much overhead in terms of cost, time and location. It's difficult, for example, to get to one's CAC card to access a system when mortar shells are flying." 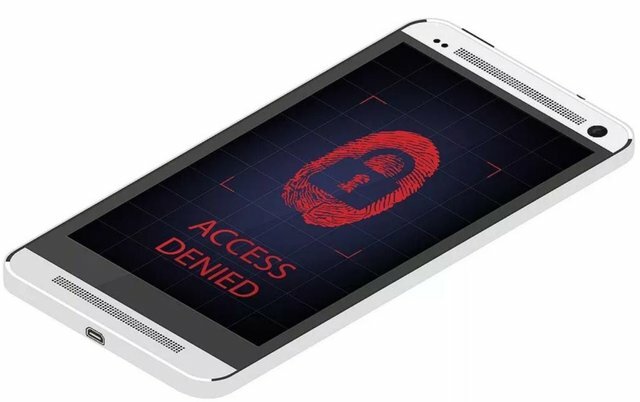 “Prototype devices for establishing assured identity are being developed right now,” Vice Adm. Nancy Norton, DISA’s director, said at an AFCEA cybersecurity operations conference in Baltimore in May of last year, FCW reports. “The first few will arrive this summer to assist with determining the right test parameters," the publication wrote at the time. The company and the Defense Department argue that this technology would "help secure government data preventing leaks." Over the years the government has had the leaks of Bradley (Chelsea) Manning, Edward Snowden, Joshua A. Schulte, and many others who have leaked information. Such a change in protocol for U.S. agencies utilizing biometric A.I. technology would prevent any leaks of information, which isn't good for keeping the government accountable and exposing corruption. It's worth mentioning that if any of these whistleblowers had been required to use their smartphone with these special provisions their information very likely wouldn't have been released to the public. Scary part is that they acknowledge all of the information is available via smart phones. Wonder why they are pushed so heavily on people? I also found it interesting that they are doing this to constantly monitor people. Their asses got burned hard when Snowden leaked their secrets so they aren’t taking chances again. Amusing how they try to be cute with how they are selling it though. When will folks wake up to this dystopian nightmare? Who wants to be tracked 24/7? Really? Might be time to ditch these tracking devices. Another reason why my Fongo App is a good enough provider for me and makes my decision to choose a Galaxy S5 over a S6, due to being able to more easily remove the battery from the S5, the right choice. Unfortunately that makes you vulnerable because the software and hardware is outdated.